Today’s Museum Profile is a little different–it’s on a library! The Coronado Public Library is a great place to go for art and general enrichment. Everyone should know about it! The Library was founded in 1890 and has been in many different locations. In 1895, the Library approached the Hotel del Coronado to provide a rent-free building for library use. The Hotel provided. John D. Spreckels (the famous San Diegan, who among other things, owned the Hotel del Coronado) was approached by the Library later on to build a permanent building for the small but dedicated Library. He said yes. In 1909, the Library was completed. Visitors can see the original building in the Coronado Library of today: it’s the Spreckel’s Reading Room. The Library is impressive without mentioning its art: it has over 14,000 DVDs, over 110,000 books in its adult collection alone and many great community activities. We love this commitment to art and exposing people to art in ways they may not even realize. The Library shows pieces by many noted artists, such as the giant painting by Alfredo Ramos Martinez (The San Diego Museum of Art has pieces by him in its permanent collection) and a sculpture by Donal Hord (has a well known sculpture in the courtyard by the entrance of The Prado Restaurant). 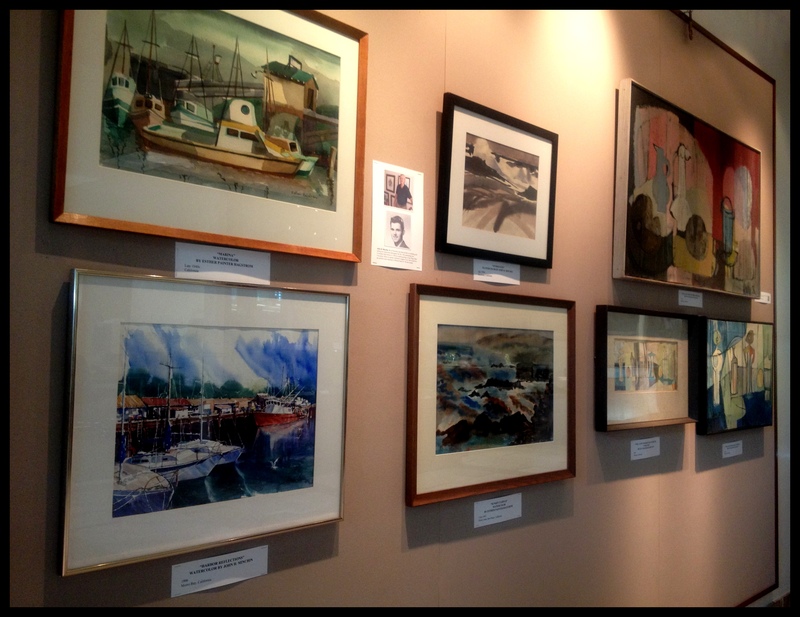 Art Through the Generations is a wonderful show on display in the main area of the Library. 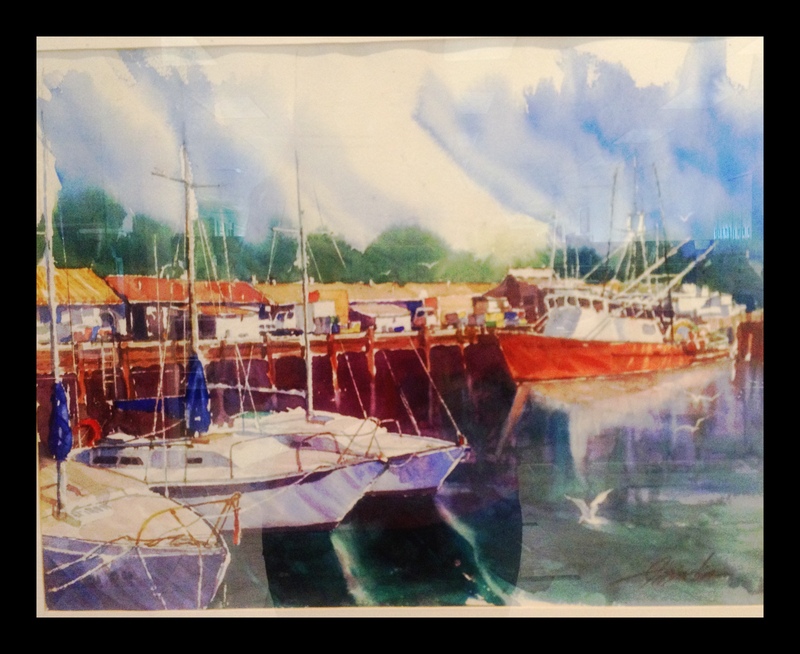 The show features watercolors by Esther Painter Hagstrom and works by her students. Hagstrom taught art at Coronado High School for over 10 years, mainly in the 1940s. What stopped her from an even longer career at Coronado High is she died in 1951 of cerebral hemorrhaging. The exhibit aims to show the importance of art in schools, which Hagstrom certainly believed. Visitors will see watercolors, oils, prints, carvings and more by Hagstrom and 9 of her students. Many of the students she taught went on to sell their art commercially. On Display Until May 31, 2013. It has a commitment to art. There’s always great art to be seen! Anyone who lives in California can get a library card. It has a massive collection of DVDs. Art Through the Generations is beautiful and interesting even to those who don’t know a lot about art because there are a lot of San Diego scenes. Free to get a library card as well: All California residents can get a library card (which is completely separate from any San Diego City or County card). All you need is an official photo license, such as a drivers license, and a letter sent to your address to prove residency. This entry was posted in San Diego Exhibitions, San Diego Museums and tagged art through the generations info, art through the generations library info, coronado, coronado library, coronado public library, san diego, san diego culture, san diego guide, san diego libraries, sd, the wanderer guides, things to do in coronado, things to do in san diego. Bookmark the permalink.